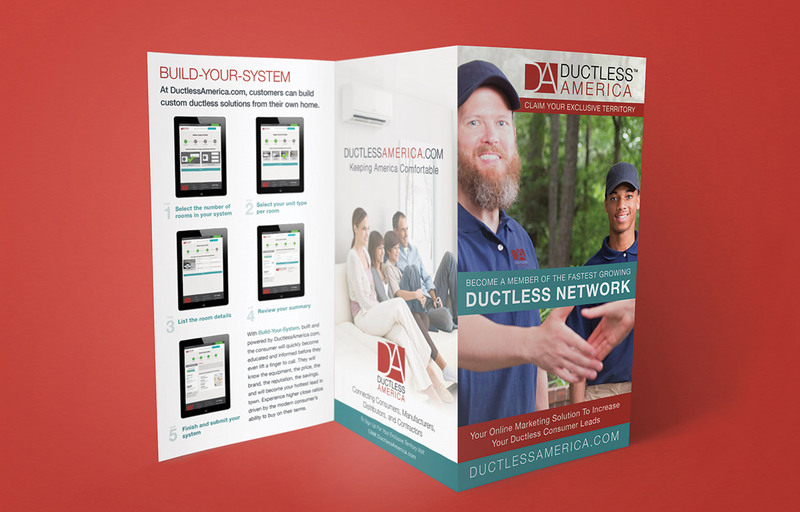 Tri-fold brochure design for Ductless America. 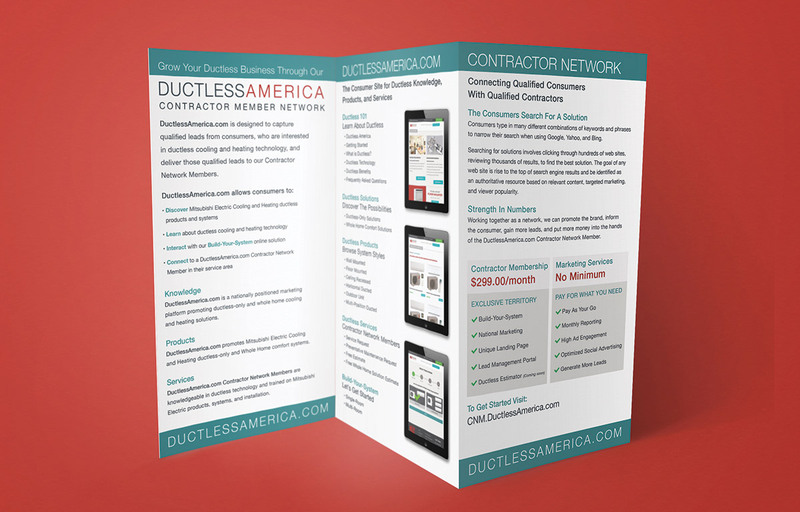 The brochure was an informative piece that explains the Ductless America Contractor Network and how it could benefit HVAC contractors who join the network. I was tasked with finding all imagery, assets, and designing the entire brochure using Adobe InDesign.